"Versatile tool, would love better wallboard support"
* Great integration with many services like AWS, Chef, Couchbase, JVM, HAProxy, MySQL etc. * The front-end lets you create graphs of virtually any kind, but it's a challenge to make a TV-friendly dashboard that would be readable from distance. * It's also annoying that I can't just convert a dashboard between a TimeBoard and a ScreenBoard - it seems like the difference is mostly in the representation, but I have to re-do the whole board if I want to display it on a big screen. I haven't used many alternatives, but Datadog seems like a great versatile tool. Adding new metrics and creating new dashboards is fairly easy, Datadog will do all the hard work. We needed a robust, versatile solution to track a variety of metrics like number of errors, load and response times, job execution stats, db connection usage, track runs of scheduled tasks etc. Datadog allowed us to implement all of that with one tool, and in a way that we don't have to change the code to change the representation of data. It's a great tool to track the health and performance of your services. "Versatile product at a great value"
Datadog allows you to collect and cross-reference various metadata about your application--it's wonderful to have APM, container health monitoring, and logs in one place. Also, I spent a LOT of time with Datadog support... and I mean, A LOT, because our use case (our app is Dockerized and deployed on Aptible) is not typical. The support team was, pun intended, dogged in their persistence to help me get Datadog working for us. And it's a great value, cost-wise. If price is a concern, Datadog is the best value out there. We needed a cost-effective log storage solution and we also really liked that we could get APM functionality in the same app--and we needed to be able to do it all in our particular infrastructure, namely we need to run a separate Docker container that runs the Datadog agent. We get the benefit now of having our metadata in one place for not a lot of money. "Interactive boards in real time"
"Datadog kind-of hard to use"
The public dashboards are really useful for displaying and monitoring apps around the office. There are plenty of integrations and webhooks we can use to monitor our applications. Training is hard to find, and when I do find it, a lot of the instructions are outdated, or not Windows friendly. The learning curve was higher for me, and it discouraged me from moving forward with Datadog. I've sent emails to their training team and they said they'll update their training content in the future to make it more Windows friendly. The Monitor Report that gets emails if formatted strangely, where the top alerting monitors / top notification is summarized, a lot of the monitor names get cut off. Even if you click in the email to view the report in a browser, our monitors and alerts have to be named a specific way since we share the account with other divisions in the company, so the report just shows a bunch of our monitors with the same initial name [Department] - [Product] - [Container]/[Service], the names get cut off after Department and Product, so the rest of the report is harder to read -- I'd have to hover my mouse over to see the full name. Training would be easier if you were on macOS or Linux, having Windows subsystem for Linux didn't really help. Windows is fine if you already know what you're doing. We are trying to monitor applications and set up alerts when things go wrong, whether it be CPU load too high, or RAM usage suddenly spike, we need to respond to these incidents and correct issues with our application. I receive critical question alerts by email to be more informed of the system that may be causing unwanted damages to the company. "It is a modern and different app"
"help to obtain high income"
The system events are pretty good. Datadog is very well designed to give visibility among the teams so that I can discuss issues in context of production data, write down the changes and notify my team, see who responded to that alert before, remember what was done to correct it and add their data together. you only have to install agent and cloud integrations to bring metrics and events from your cloud and services in one place. The free version offered to know it well before starting to pay I had a good idea of Datadog, I had my doubts if I was going to like it or not, that if it was good or not and I did not want to start paying for something that was not I knew how I was going to get out so I tried the free version and started using it and until now I have it, I liked it. "Datadog - Complete tool for all types of application monitoring." Datadog is a tool that can not be absent in any company, of whatever type, where different applications of different types are used, with its powerful tool, you can carry out a continuous monitoring of many programs and applications that are used daily, in a Same place, I must say that the first time I used this wonderful application surprised me, it has an optimal integration and in our university we can monitor almost 90% of the applications that we use from Datadog. Sometimes, due to the number of applications that we have integrated to Datadog, there may be certain bugs, or delays in the delivery of information, I have noticed in some cases, delays of up to 20 seconds, I do not understand why this is due When everything is connected to it, there should not be this type of delay in the delivery of information. By integrating the majority of applications to Datadoog, we can have an optimal monitoring of the different applications that we use in our university, of that we provide the best possible service to all our students, teachers, and all the personnel that make use of our applications, providing them, always the best quality of service, since since before them, they realize a possible problem, thanks to our monitoring tools, we are always one step ahead. "Quick and it does not prevent you from doing several tasks at once"
System stats, software stats, API endpoints, events, dashboards, alerts, mobile apps, all in one. Datadog has a lot of pre-built solutions that you can implement in your infrastructure and if you will not find suitable solution you can build your own, great for AWS monitoring. Good customer support and documentation. Lack of Azure monitoring tools, Datadog is very complex in building your own solutions. A bit too expensive for it`s functionality,Not very good for Azure if you are going to use marketplace solutions. Most of these are made for AWS and you will have to make something similar by yourself. Contact helpdesk prior to build your own solutions, maybe you just didn`t find the same on marketplace,Monitoring of systems and services for production SaaS applications. It helps us discover issues both before and after they happen, and we use the dashboards both for system status and for business level dashboarding. "Excellent tool for monitoring everything in your infrastructure"
Datadog is a monitoring service that gives you a great overview of the state of your infrastructure at any given time. I like how it works almost out of the box with many popular frameworks such as nginx, celery and django. The documentation and tutorials provided on the official website are quite good, and since Datadog widely adopted, it's easy to get one's questions answered. It is sometimes hard to characterize log messages to the desired severity. There's lots of widely used applications which log by default to stderr, and this causes Datadog to classify everything they log as an error, when it is not the case. If you have even slightly complex infrastructure (ie, more than three types of microservices running) then it's likely you can benefit from using Datadog to monitor that everything is running smoothly. We also have set up dashboards to have an overview of all our services and we use the Live Tail feature of the logs to see and share logs without needing to log-in to remote machines. I have a good tracking of the entire system infrastructure. "My Experience with Datadog Cloud Based Monitoring Tool"
Instant online chat support rather than waiting days for a return call. I also like that it is a java free web based program and that navigating the monitors via notification links is easy. Integration with an internal slack support channel helps organize monitoring into one channel rather than being mixed with email. For IP monitoring the IP has to be live to do the setup, would prefer if the setup could be done without the monitor being online yet but there is also an advantage to making sure it is up as part of the setup so that feature is both a like and dislike. We have had issues with monitors getting stuck and having to be restarted to clear. Their support is great, do not hesitate to pop up a chat any time you have a question. I was not involved in the actual pricing so I cannot speak to cost but I know the evaluation team would have taken it being affordable. Notification of devices that need network connectivity being offline, disk space, and memory usage. Not having to deal with java and being able to edit my own monitors rather than having a system administrator exclusively responsible to manage monitors results in more timely monitoring and less missed setups. "easy to monitor applications in the cloud"
"One of the best monitoring tool"
- It's written now in Go. - Agent installation can be automated. - High level of customization. - Heavy learning curve to several key features. - No significant cons, though I'd like to be able to monitor RDS health without integrating to the entire AWS. We used Graphite as a monitoring tool. We had constant performance problems and system crashes. We started using Datadog and managed to obtain more detailed graphics, better dashboards, and a more reliable monitoring system. "Datadog Works almost Like Magic"
Although I'm not involved in the Deployment of Datadog, I use it's service often to review alerts, logs, and Server Statuses. Recently I was tasked with building a Dashboard in React/Node. When it came time to figure out how to import Datadog without API access I found it was extremely easy to just pull an iframe from whatever charts/graphs I wanted. Although I don't have exact figures it's my understanding that Datadog is rather costly. All of the features are worth it though! Datadog is a great tool. Invest in the training for building dashboards and setting up proper tags/monitoring as it's well worth it. Monitoring MANY (100s of Servers) all in one place and getting alerts anytime an alert threshold is met. Data Dog is really great at collecting data and give real-time perfomance metrics. It is super flexible and work for all the technologies that we are using. Also it is super easy too configure an alerting system like Pagerduty to notify us if something is odd. Within Data Dog, the dashboarding is quite hard to figure out. There is time were too much information is just disturbing. Data Dog could fall in this pattern if you don't design properly your dashboard. Datadog is really great and simple to use. The are also adding new support for a lot of technology and programming language so doing hook is pretty easy. Data Dog helped us to get realtime metric on basic object within our infrastructure. It give what happened in what order. So debugging is much easier. "Datadog as Perfect monitoring tool." You can monitor your infrastructure as on premise as in the cloud by monitoring performance counters of different applications and collecting information from logs. You can monitor your infrastructure as in real time mode or just receiving alerts for example to email. It allows you to use different ready solutions with predefined logic for to monitor even different software such as: SQL Server, MySQL and so on. It can be integrated with different products such as slack, where you can receive different alerts and where slacks bot can perform setuped actions. You can create different dashboards for your convenience. No suitable for all cloud services, for example if you're going to monitor your infrastructure in Azure it would be better to use Azure's Log Analytics. This solution is not for non-experienced users and required time to learn it . Features used in free price tiers very limited for example no alert capabilities. Not suitable for all cases but can be used in some ones. If you are using Azure you can use it's native tools, but if you're going to monitor AWS or on premise infrastructure it is good choice, plus it has several pricing tiers to test and decide if it is suable for your company. Monitoring premise and AWS infrastructure. This monitoring tool can be accessed from any device from anywhere by using app or just browser thats very convenient. "Flexible monitoring for your solutions "
Datadog allows monitoring of everything you need without deploying additional hardware or utilizing storage in your datacenter. Most of your possible needs are covered by API marketplace, where you can find lots of solutions for different use cases. You have access to both current state of resources and history of this state, so you can analyze your issues in retrospective manner to find out what was going on that time. Monitoring of both availability and performance of your services by utilizing performance counters, log analytics and alerting on specific events. Great email and communications tools integration for notification purposes, allows to monitor your systems proactively and find possible issues before actual impact for your resources. Even wide range of use cases will not cover all your needs, sometimes you willmhave to find another solution. "Monitoring is one of most important parts in DevOps process"
Not very good for Azure if you are going to use marketplace solutions. Most of these are made for AWS and you will have to make something similar by yourself. "We get graphics that show in real time the total performance of the system"
Datadog is a great software for monitoring, provides a great overview of the state of the infrastructure at the time you want, the information and help that gives us the official website is very useful and quite good, I can have control of everything that happens in the system that could cause damage, we get graphics that show in real time the total performance of the system, besides the prices are quite accessible and also has many functions taking into account the good price. The support should improve a little, because when I have any questions and contact their explanations are not well known and can confuse me and I still leave with the same doubt without giving solution to the problem, however Datadog is a software that will comply with the work offered . "datadog is the best soft for securing data and processed information"
it help in keeping records in large quantity and quality hence one can access the data at any time and at any place without any limititions .it also gives tools that help the user to ease the interaction with the software .it help me to take analysis of all my information in a capable datdog platform ,it also help me to see full infrastructure cloud ,apps in a real time interactive. as now i have not experienced any disadvantage to the datadog software hence if i meet it, i will be able to reach to vendor and rectify the problem . "Un programa muy fácil de usar"
Los precios son muy económicos para saber tan buen servicio que ofrecen que ayudan mucho con este software con las funciones avanzadas y la visibilidad de aplicaciones como java, python, go y otras. El soporte es muy bueno, resuelve rápida y fácilmente cualquier inquietud que tenga, es muy amable y comprensivo. No siento que me disguste algún registro de datos porque toda la experiencia que he tenido con este software ha sido muy buena y me ha ayudado mucho porque si no entiendo algo me lo explican de una manera fácil y sencilla. Alerta de cualquier programa que no tenga su rendimiento al 100% y que pueda dañarse sin darse cuenta y que sea demasiado tarde para repararlo sin disponer y perder información. Tiene una visibilidad completa de toda la aplicación para facilitar el trabajo, de modo que todo funcione correctamente. "The team works in a very responsible way and will help you find any solution"
System stats, software stats, API endpoints, events, dashboards, alerts, mobile apps, all in one. Also basic APM and logging. Cloud integration plus agents, and extensible checks. Beats using something like nagios hollow. Expensive at scale, very little discounting. Monitoring's complicated. If you just take the defaults on graphs and alerts you're not necessarily going to be seeing what you want to see - you have to understand the sampling and available analytics and stuff, it's simple to set up but can be complicated to get a visualization or alert that really gives you what you want. Support can help a lot, though. Monitoring of systems and services for production SaaS applications. It helps us discover issues both before and after they happen, and we use the dashboards both for system status and for business level dashboarding. "Great monitoring tool for your solutions. " Datadog permits observing of all that you need without conveying extra equipment or using stockpiling in your datacenter. The greater part of your conceivable needs are secured by API commercial center, where you can discover bunches of answers for various use cases. You approach both current condition of assets and history of this state, so you can dissect your issues in review way to discover what was happening that time. Observing of both accessibility and execution of your administrations by using execution counters, log investigation and cautioning on explicit occasions. Incredible email and specialized instruments joining for warning purposes, permits to screen your frameworks proactively and discover conceivable issues previously genuine effect for your assets. Agonizing in setup, yet unfathomable after go-live. Checking of cloud arrangements and examination of IT foundation both in cloud and on-premises. ""Fast and it doesn't keep you from completing a few undertakings on the double""
Absence of Azure observing apparatuses, Datadog is unpredictable in building your own answers. A bit unreasonably costly for it's usefulness There's loads of broadly utilized applications which log naturally to stderr, and this causes Datadog to arrange all that they log as a blunder, when it isn't the situation. Generally AWS checking, it can accomplished something in Azure, however choise of arrangements is very limited,If you have even marginally complex foundation (ie, multiple kinds of microservices running) at that point it's probable you can profit by utilizing Datadog to screen that everything is running easily. "Great easy to use service "
Easy to set up custom metric collection and dashboards. You get a lot of metrics collected automatically when you integrate with cloud providers like GCP. You get a lot of insight out of the data you collect. High price. Charged per. We're migrating off of it at work because we can't prevent it from charging us for every new ephemeral host we start with Dataflow on GCP etc. Usage based billing would make more sense. Be mindful of cost. May not be compatible with serverless styles. Tracking whether data is flowing in pipeline. We use data to drive analytics and recommendations engine, so this makes sure our uptime is as high as possible. The Datadog team keeps building new features that we need before we even know we need them! They are so quick to add features and fix bugs that we report. Not really a dislike but their APM and logging still lag behind some of the more mature products out there. They are rapidly improving both though and they're very much usable. Definitely do a POC with Datadog. You'll be surprised at how easy it is to on-board employees and get them building monitors and dashboards. 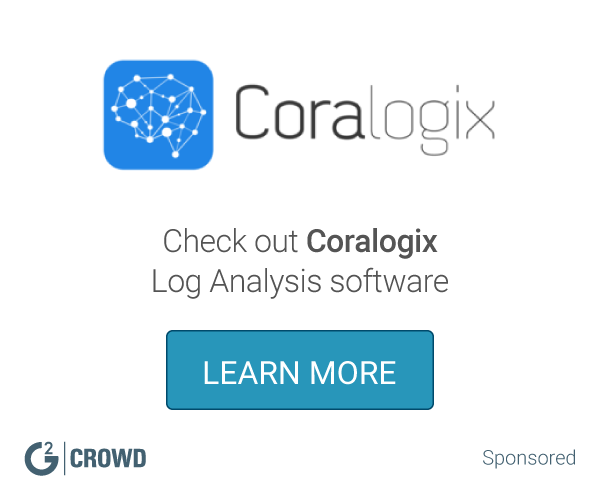 It's better than what you're using for monitoring and is rapidly becoming a great logging and APM solution. Building monitors and alerting on what matters rather than just alerting on any issues that arise. It's allowed our NOC to be more efficient in responding to critical events by filtering out the noise. It also provides a detailed yet simple view for non-engineer folks to see what's going on throughout our network. "Monitoring for your cloud solutions"
Datadog is very flexible monitoring tool, perfectly fits the requirements of cloud solutions monitoring. It has a great set of embedded solutions as well as great API marketplace, where you can find almost everithing you need to set up for your environment. It also allows building you custom solutions for fine tuning according to your needs. Datadog can collect logs and performance counters information, for alerting and analysis. You can move any dashboard back in time to see the condition of your infrastructure and dynamics of changes. Datadog is used by multiple teams in our company to constantly monitor the infrastructure and make sure that the systems are working smoothly. Datadog offers a simple and very easy to use interface which makes it easy for us to train the new team members on the tool. 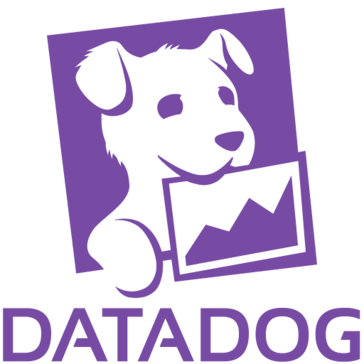 Datadog also offers a vast variety of integration with third party tool which makes it easy for us to build custom reports and alerts. 1. The initial deployment of the tool can be a little challenging especially if you have not used the tool before. 2. The delays in the monitoring agents can be reduced as sometimes it is very critical to receive the alerts in real time and delays can lead to system failures. 3. The pricing of the tool is also a bit high as compared to other APM's. Datadog can be really helpful if you want to build a alerting and monitoring system for your resources. Its super easy to setup and start monitoring your system/clusters. The Infrastructure Host map and dashboards are impressive and give a quick overview of your "Health Dashboard" to be able to diagnose the issue with a server/cluster and quickly fix it. The "Events" tab gives a quick overview of all the "state" changes that occurred during the given time - period so that we have a time series trend to look at. Also the priority of an event can be changed/raised to be able to quickly take an action. Setting up Monitoring/Alerts is a bit non - intuitive to begin with. It takes a bit of understanding to be able to configure the alerts. It is definitely good value for money. It is a cheap alternative to start on a month-to-month basis to evaluate the product before being able to make an annual commitment. Monitoring custom Dashboards with multiple integrations and API access make it easy to quickly visualize the cluster health and operations. The Integrated Dashboards which come pre-populated with critical metrics are a great feature to quickly start monitoring your cluster. "Good app, but with a learning curve"
Fully customizable dashboards make it easy to see the things you look at most often. Also, it has a ton of integrations for alert systems like pagerduty and VictorOps, ticketing systems, AWS, etc. A lot of documentation found on their site is out of date. This makes it difficult to get things set up properly at times. Get as much time in with the trial as you can to make sure everything you need works. Monitoring resources on servers, latency across applications, Response times, metrics on queue sizes, metrrics on WAF usage, db pool connections, etc. "Data Dog is A Good Boi"
We used Data Dog for our Saas and Paas alerting and incident monitoring. It integrated very nicely with our other systems, we integrated with Hipchat for instance to monitor some of our critical services. Our team could then keep an eye on issues as they develop and see trending problems very easily. The visualizations are very cool, while we tenedd to not get too much use out of them. I mostly have nothing negative to say, the pricing is very reasonable, the integrations are great. I suppose if I had to come up with something it would be that there can be a somewhat overwhelming amount of information being presented sometimes but once you get past the learning curve it is not bad at all. I would highly recommend data dog, its a great product at a great price and it integrates nicely just as you would expect into other systems. We were using data dog to expose our SAAS and PAAS alerting to our entire team (we have this integrated through Hipchat). We could see issues nearly live as they develop and get that information in front of the appropriate groups all at once.We have since moved to Pulseway. "with datadog we can see all our monitoring in one place"
Datadog is a simple to install and use. It can be used across platform, on premise or cloud. You can monitor everything securely without installing many server because datafog is a SAAS monitoring solution. free version is available also. can cost a lost for big volume (more than 500 objects). Log retention politics is actually limited to 30 days and you need to ask for more. Price for 30 days is 2.5$ per object. i was able to monitor and manage all my log, app, performance, even serverless and containers very easyly. It lets me know when my servers are having issues when they happen, instead of when an end user on the server contacts us. This has been critical for our operations, as occasionally there are some rogue processes that hog all of the server resources. It doesn't have a great solution for PHP. We have had instances prior to using DataDog when a server's resources were full and we did not know about this until someone said a website was not working. Now we can stay on top of performance issues before they impact end users. "Good Monitoring and timeseries aggerator and viewer tool"
Monitoring based on thresholds, moving averages, anomalies detection. Also basic server integration works "from the box". Also product moves forward all the time with new integrations, and features. "Outstanding metrics, logs, and alert aggregator"
Everything is easily and cost effectively aggregated into a single repository. Support staff is quite helpful. Version upgrades on all clients should be manageable from a central console. Instead, they rely on integration with Puppet and Chef. In my opinion, while using something like Puppet should certainly be an option, an enterprise product should include the ability to centrally manage endpoint agents. Initial installation is super quick and easy. You will likely hit a steep learning curve / wall when you start moving into more advanced tasks such as alerts based on multiple aggregated metrics, custom dashboards, and log consolidation. The support team is very helpful when you get to this point. You may want to also ramp up on your skills with Puppet and/or Chef as this is needed for automating the client upgrades. Log aggregation and publishing to our application development teams, correlation between time stamps on logs and related device metrics. "Clound monitoring for ckoud solutions." Datadog's myriad integrations make it useful for monitoring just about any web stack you can imagine. The permissions model for dashboards make it a free-for-all. You have two choices, admin or unprotected. If the dashboards are unprotected, anyone can edit them. In larger team environments where users have varying levels of skill and a different view of which metrics are important, this can create a mess. I really do like this product. If you have a large number of servers, it can get expensive compared to an open source solution. However, managing an OSS solution that provides all of what Datadog can will be time-intensive. Datadog just works. Datadog provides visibility into our system performance by allowing us to visualize and monitor telemetry and metrics. Datadog has a nice dashboard that makes it extremely easy to use and very user friendly. Customer support is usually very quick and helpful. Not at all mobile friendly. Performs poorly on Microsoft Azure compared to how well it works with AWS. We use it to monitor important metrics such as memory and CPU, identity unhealthy boxes, to gain insights into server performance and to generally monitor our public cloud. * We monitor all Datadog reviews to prevent fraudulent reviews and keep review quality high. We do not post reviews by company employees or direct competitors. Validated reviews require the user to submit a screenshot of the product containing their user ID, in order to verify a user is an actual user of the product. Hi there! Are you looking to implement a solution like Datadog?